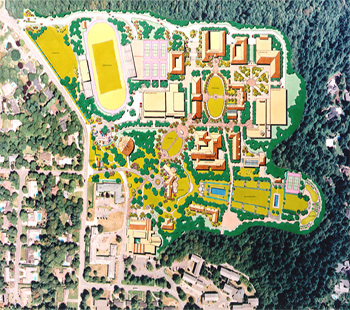 The master plan for this liberal arts college investigates future program needs and examines ways to accommodate them on the 130-acre campus occupying a former estate overlooking Portland. The plan creates a focus for the campus community. It restores the pedestrian environment, enhances the campus’s Northwest setting, and provides adequate facilities for academic, administrative, and residential programs. The plan proposes a net increase in building area of 500,000 square feet. Evolving from the master plan, the schematic landscape design creates a campus landscape that responds to the varied topography and vegetation of the campus and to the existing and proposed building program. 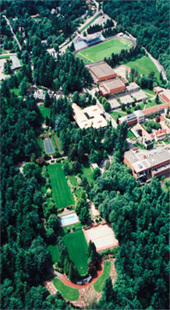 The plan reinstates the estate image of the college grounds, which was obscured by the college building program of the 1950s, 60s, and 70s.